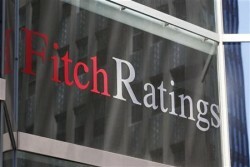 Fitch Ratings raised the Philippines' credit rating to investment grade on Wednesday, a first for the Southeast Asian nation, in a move expected to boost investment and lift the country's long-term growth potential. The one-notch upgrade to 'BBB-' is a vote of confidence in the government's efforts to achieve fiscal sustainability, curb corruption and increase infrastructure spending, and comes as a growing number of much larger economies in the West struggle to avoid credit rating downgrades. "The Philippines' sovereign external balance sheet is considered strong relative to 'A' range peers, let alone 'BB' and 'BBB' category medians," Fitch said in a statement, adding a persistent current account surplus underpinned by remittance inflows has helped the country become a net external creditor. Fitch also said Manila has had stronger and less volatile growth than its peers over the last five years, and expects trend GDP growth of 5-5.5 percent in coming years. President Benigno Aquino, who took office nearly three years ago, wants to achieve record economic growth of 8.5 percent under democratic rule before he steps down in 2016 by creating more jobs and increasing income levels in a country where nearly a third of its 96 million people live below the poverty line. "This means much more than lower interest rates on our debt and more investors buying our securities," Aquino said in a statement read by his spokesman at the presidential palace. "More companies in the real economy can now consider us an investment destination. Investment grade for sovereign debt should also lead to lower borrowing costs for Philippine companies in international markets, consequently allowing for higher valuations for their securities. 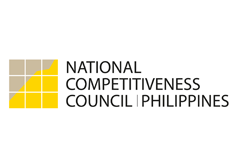 This in turn enables industries to expand and generate more jobs for our countrymen." The upgrade is likely to attract further capital inflows, which are already posing challenges for many policymakers across Asia as global investors flock to the region in search of higher returns. Shielding the peso currency and the economy from the impact of large inflows of foreign money has already strained the central bank's resources. "Fitch's upgrade of the Philippines will certainly boost investment confidence in the country, which is seeing strong growth momentum and improved public finances. However, more work needs still need to be done, particularly pushing through reforms to increase investment as well as government revenue," said Bernard Aw, an economist at Forecast Pte in Singapore. "The upgrade is expected to further boost capital inflows, which could make the job of managing liquidity more challenging for the BSP (Bangko Sentral ng Pilipinas, or central bank)." BSP Governor Amando Tetangco said in an email to reporters that authorities expect more inflows from funds whose investment guidelines specify placements only in investment-grade rated countries. "The BSP has a deep toolkit. Our current set of policy tools have so far been effective in minimizing the adverse impact of inflows on domestic liquidity and exchange rate volatility. "We still have macroprudential tools that can be lined up. The current benign inflation outlook gives us room to refine our set of market instruments and to deploy macroprudential tools as may be appropriate." Investors have already been pricing Philippine bonds at levels similar to investment-grade nations. But by having it made official by Fitch, it will reduce the country's borrowing costs and widen Manila's base of potential investors. Fitch earlier had a stable outlook on the Philippines and made the unusual move of upgrading it straight to investment status, rather than bumping up the outlook first. Some funds require two of the three main global rating agencies to upgrade sovereign debt to investment grade status before they are allowed to invest. Standard & Poor's raised its rating outlook for the Philippines to positive from stable in December and said it could be awarded investment grade status if it follows through on reforms to improve revenues and boost growth. Moody's Investors Service also has the Philippines at one notch below investment grade, with a stable outlook. Philippine sovereign bond prices rose 25 to 75 cents on news of the upgrade, with the benchmark 2037 bonds hitting 115.125/115.50, though profit taking soon emerged. The Philippine peso edged higher versus the dollar and local stocks .PSI extended modest early gains to more than 3 percent at one point, hitting a record high. The peso rose nearly 7 percent last year, and extended those gains by another 1.2 percent by mid-January. It last stood at 40.825, up about 0.5 percent so far this year. The Philippines was regarded as one of the most promising economies in the region in the 1950s but turned into an economic basket case under the long dictatorship of Ferdinand Marcos, when economists labelled the country "the sick man of Asia". In recent years, it has seen a major transformation, attracting strong capital inflows thanks to the economy's resilience, backed by robust domestic demand, and expectations it would be promoted to investment-grade status this year. Those inflows have pushed up the peso and driven an 18 percent rise in the stock market .PSI so far this year, making it Asia's second best performing bourse after Vietnam. In 2012, the Philippines' economy grew 6.6 percent, the fastest growth in Asia after China, prompting many analysts to raise their growth outlooks for the country and earning it the title "rising tiger of Asia."